​You can choose flexible work as a life choice. Our approach is simple. 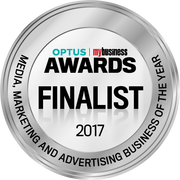 We aim to attract the best flexible contract marketing people in Australia to satisfy the emerging on-demand economy. We will match your skills with customers’ needs. No time wasting – we do all the hard work in finding contracts and match you to the jobs using our marketing competency assessment checkpoint tool. Support and team work approach to freelancing and contacting. You’re not alone… we have a team approach and will cultivate a culture of mentoring and support from our senior panel if and when required. "I've worked with & had thousands of interactions with recruiters over a decade - Kam stands tall ahead of them. One who truly cares for client & candidate interests. As a candidate, it was incredible to work with someone who went to bat for you, had great communication skills, and was incredibly open and transparent. Kam is a rare find - someone I'd highly recommend candidates to work with." "I've had the pleasure of working with Kam on a number of projects with a variety of clients and have been impressed with her technical skills, her strategic thinking and her ability to pull together a team to deliver for her clients. If you are looking for an experienced marketer with 'business sense' then I suggest you talk with Kam." "Kam recently placed me in a great Account Management role. As a candidate, I was very impressed with Kam's knowledge, her support and excellent insights. She's a great communicator and the level of service as a recruiter was exceptional." "I can highly recommend Marketing Temps. Kam is the ultimate professional and all my dealings with her have been seamless, easy and beneficial for all parties involved. They have identified a gap in the market that needed filling and they have done a great job doing that. Happy to provide more detail to anyone considering engagement with Marketing Temps."